When a suicidal person walks into your office, how prepared do you feel? For some providers, facing a suicidal patient may evoke worry or anxiety, as they may feel ill equipped to handle these cases. 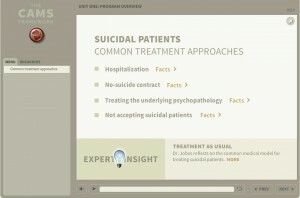 In Unit One you’ll learn about interventions typically used to treat suicidal patients, the evidence base (or lack thereof) supporting these, and an alternative intervention—one that is grounded in 25 years of research and proven in decades of practice in real-world settings. 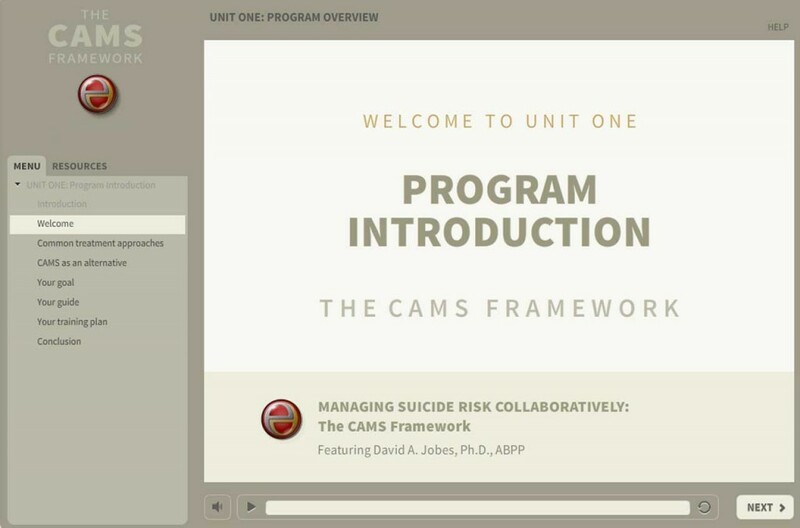 That intervention is CAMS, the Collaborative Assessment and Management of Suicidality. In this training, your goal is to help Kevin O'Leary, a suicidal patient with a high-risk profile. 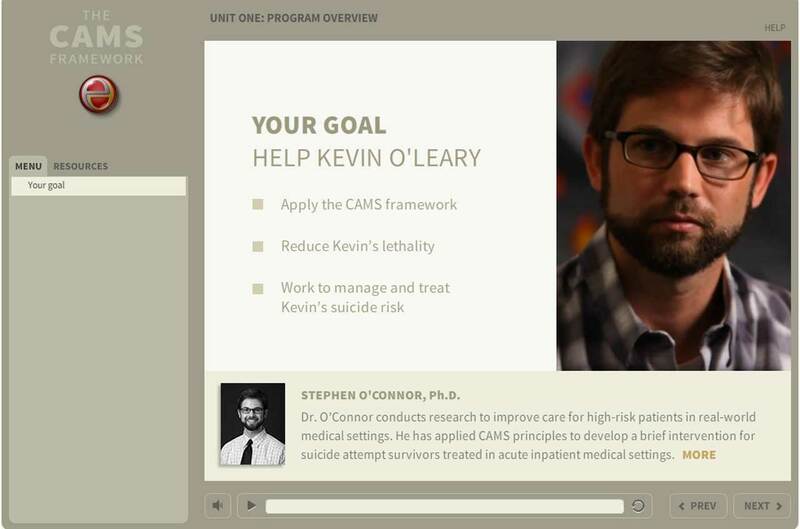 You'll apply the CAMS Framework to reduce Kevin's lethality and work with him to manage and treat his suicide risk. The role of Kevin is played by Dr. Stephen O'Connor, an assistant professor at Western Kentucky University with extensive research and clinical experience applying CAMS with suicidal people. The character of Kevin is hypothetical and a composite of actual patients Dr. O'Connor has worked with. Fortunately you'll be guided by Dr. David Jobes, an experienced clinician-researcher who has worked with suicidal patients for decades. 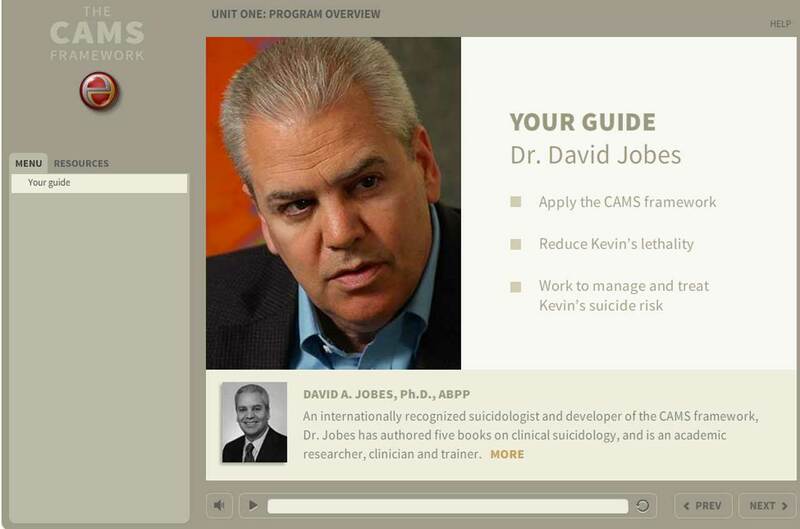 Dr. Jobes developed the CAMS Framework over 25 years of clinical research to successfully treat people just like Kevin.